My older son said he might be coming down with the flu one Monday night some two weeks ago, after a very active day which ended in the basketball court with his brother. 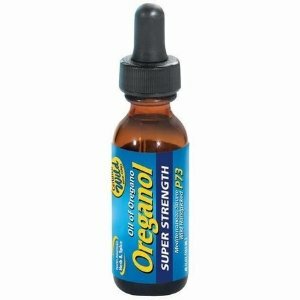 He had pretty aggressive sniffles, so I gave him a dose of Oreganol, whipped out our usual tools (chest rub, vaporizer, extra water) and by morning he was much better. Taken right at the onset of a cold, cough or sore throat, this is a miracle worker. Unfortunately, available only in Amazon so far. No local sources at this time. My younger son, who seemed well, woke up with a sore throat that turned into a cough, full blown fever and a serious asthma attack. We’re past it now and I had to combine chemicals with natural remedies, but I thought I’d share some other things that help keep us well, or at least help us heal faster. I started taking this after a beekeeping workshop nearly a month ago. I was wheezing, having to nebulize and becoming increasingly alarmed because I’ve been pretty much asthma-free for years! Two weeks of half a teaspoon a day was all it took to get me back to normal and I was able to put the nebulizer away. My children are on it now and I think it’s beginning to do the trick. They bounced back from their illness quickly. 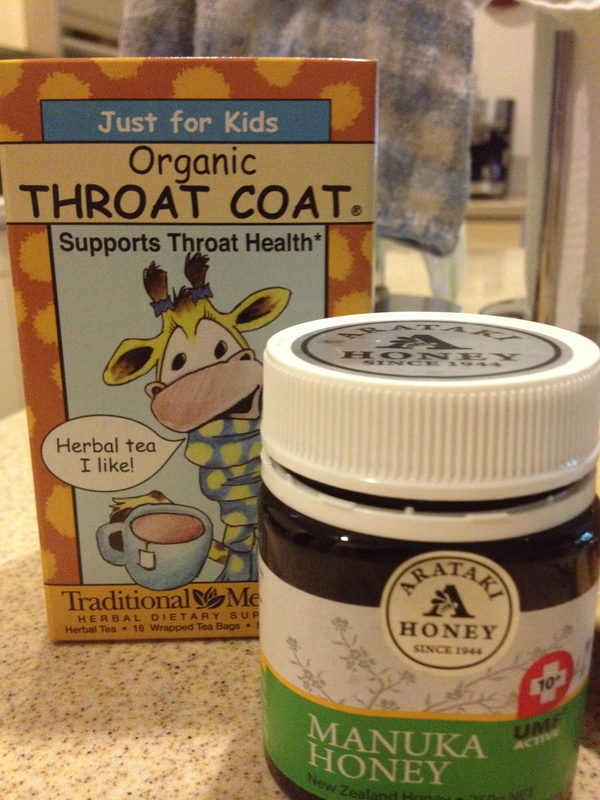 Throat coat tea and Manuka honey available at Healthy Options. This is a soothing tea that a friend recommended. I give it to the kids the minute they complain of itchy throat and I sweeten it with Manuka honey, which is known for its medicinal properties. It’s quite pricey so I really only use it when the kids are unwell. This particular bottle I bought from another friend who was selling it. Take this with honey, make a pot and drink all day. It’s soothing and cleansing! 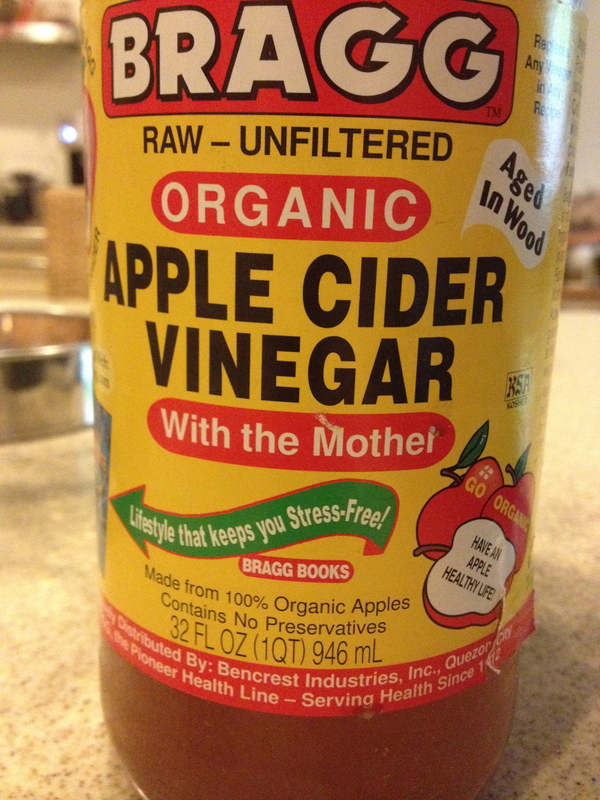 This concoction of Bragg’s Apple Cider and honey helps us feel better when we are down with respiratory illnesses. My older son can drink this by the pot and then feel better faster. He actually already asks for it the minute he feels unwell. This is readily available in grocery stores and Healthy Options. A note about honey: not all of them are created equal. I never buy honey from the grocery store as commercial brands are often sweetened with sugar. Make sure you buy raw and wild when you can. 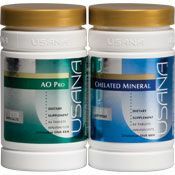 Our ultimate daily prevention: the purest cellular nutrition by USANA. I believe in this product so much, I am a distributor. I have been looking for preventive supplements that I know are pure, bio-available, and nourishing for my cells. This is it. In the end, we can eat and sleep well, take preventive supplements, and still come down with illness from time to time. All it means is that something is off-balance and we have to adjust to restore that balance. I have been well through both my children’s illnesses but got a chill when it rained suddenly while we were in the middle of the ocean and we became wet and cold. Just like that, the virus that I must have already been carrying from my children became active. If I had kept warm, I’m sure I would have been able to maintain my health. Still, I’m happy that I have these natural remedies to help me and my family restore our health. I hope they help you, too. 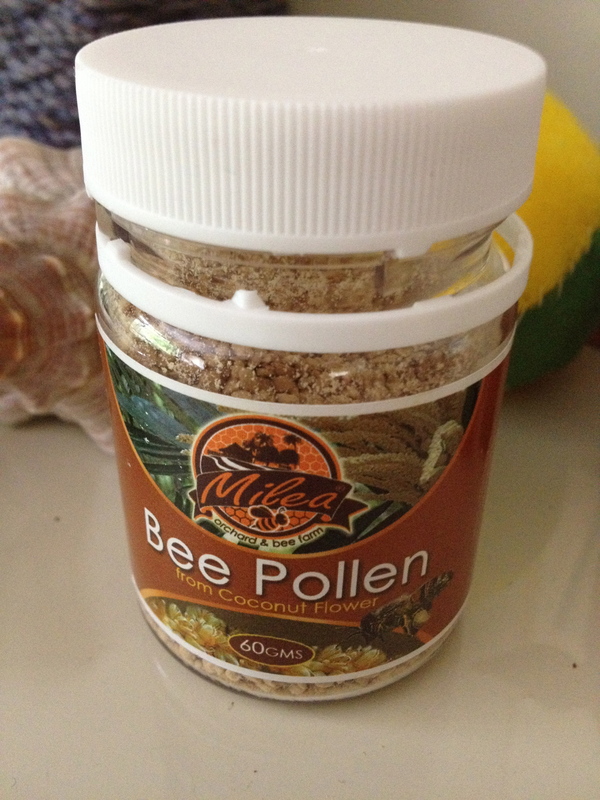 Bee pollen is available at Ilog Maria and at Milea through http://miletnbea.multiply.com Yes, USANA rocks! !